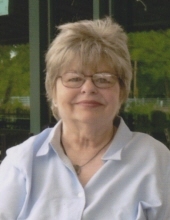 Janet A. Kennedy, age 77, of Appleton, WI died suddenly on June 22, 2018 in Appleton. She was born on February 1, 1941 to the late Edward and Margaret (Rouse) Legault. She was raised in Thiensville, WI. She graduated from Messmer High School in Milwaukee, WI. After high school she attended MATC where she studied business. On October 11, 1976 she was united in marriage to Gordon (Gordy) P. Kennedy. They had many wonderful years together until Gordon’s death January 2, 2001. During her working career she worked as an assistant buyer for Pieper Electric Co. in Milwaukee. After they moved to Mosinee, she then worked as a dispatcher for Weyerhaeuser and was a full-time caregiver for her husband. Janet loved reading, fishing, gardening and listening to music. She enjoyed playing card and board games with her family. She was an avid chess, cribbage and poker player. She was preceded in death by her husband, Gordy Kennedy; parents, Edward and Margaret Legault; and her brother, Jerome Legault. Janet is survived by her siblings, Judy (Don) Loth, Joan Dougherty, Jim (Gale) Legault, and Jean (Greg) Watson; sister-in-law, Mary Legault. Nieces and nephews, Don (Lois) Loth, Ed Loth, Jon (Tracy) Loth, Gerilynn (Jon) Lucareli, Margaret Dougherty, Edward Legault, Brian Legault, Andrew Legault, Renee (Tim) Beyer, Michelle (Jimmy) Willing, Lisa (Craig) Liebenstein, Cindy Reinke, Tom Reinke, Dan (Cheryl) Watson, Jason (Candi Glasscock) Watson, Paul (Stephanie) Watson, and many other relatives and friends. A private family celebration of life was held in Appleton, Saturday June 23, 2018. A special thanks to the Marshfield Fire Department, who transported Janet to Appleton. Also, a special thank you to Rennes Health and Rehab for their wonderful care of Janet and her family. Heart of the Valley Cremation Services is assisting the family. Online condolences may be shared at www.hovcremation.com. To plant a tree in memory of Janet Anne Kennedy, please visit our Tribute Store. "Email Address" would like to share the life celebration of Janet Anne Kennedy. Click on the "link" to go to share a favorite memory or leave a condolence message for the family.